Is made from a superior quality polyester fabric coated with a high-grade vinyl compound. Features superior grip strength to keep rugs from sliding and slipping on hard surfaces. 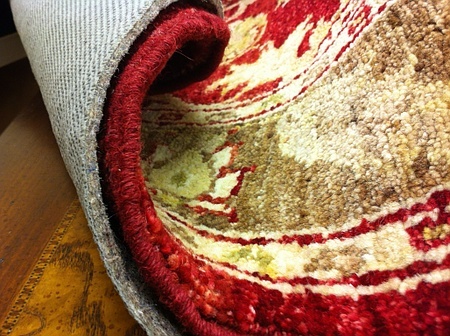 Extends the life of rugs by providing a smooth, supportive base, while millions of tiny openings allow it to breathe. Can be easily cleaned with warm water and a mild detergent, rinsed and laid flat to dry. Is treated with MSM-Fresh anti-microbial to inhibit the growth of odor-causing bacteria, mold and mildew. 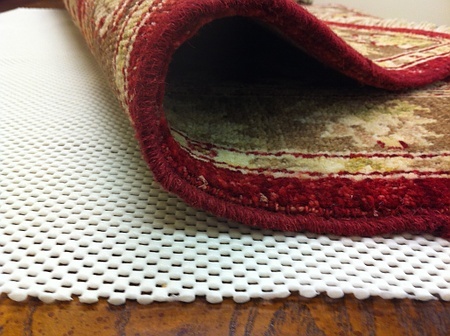 Is fire-retardant and moth-proofed and can be custom cut to fit any rug size. Is guaranteed to maintain its "non-slip" properties for 10 years with proper maintenance. Features a needle-punched fabric with textured waffle-backing for improved gripping power on hard-surface floors and carpets. 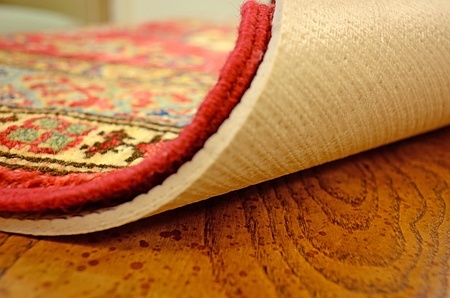 Provides the ultimate in cushioning and insulation for fine rugs. Is designed for use under rugs of any kind and helps prevent premature wear. Is made from a superior quality polyester fabric coated with a high-grade vinyl compound which gives the pad a luxurious feel and supports the rug evenly to help retain its appearance. Thickness provides a rich, luxurious feel and maximum "nonslip" qualities. Please enter pad dimensions, price is calculated on a per square foot basis.